Search For "Educational Services" Companies in Tampa, Florida - Click Here Now! 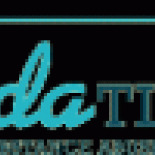 Forida TLSAE Course- Required Online 4 Hour FL Permit Test To Get First Time Learners Permit. 100% Guaranteed To Pass. Get Free 50 DMV Practice Questions With Signing Florida TLSAE, DATA Course. Florida Permit Test in Tampa is a company that specializes in Schools And Educational Services, Nec. Our records show it was established in Florida.